Still, Yasmin has friends -- her best friend, Reeni, and Anil, who even has a blue belt in karate. And she has family and neighbors. What's more, she has an idea that came right out of the last book she borrowed from Book Uncle. So Yasmin and her friends get to work. Ideas grow like cracks in the sidewalk, and soon the whole effort is breezing along nicely. Or is it? Maybe it's spinning right out of control. 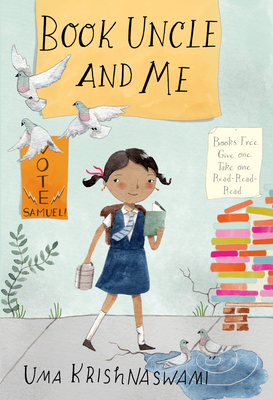 An energetic, funny and quirky story about community activism, friendship, and the love of books.